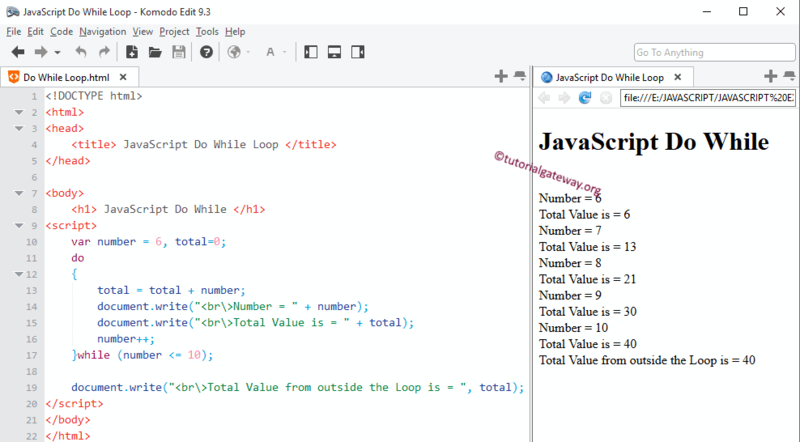 The While loop that we discussed in our previous Js article test the condition before entering into the code block. If the condition is True then only statements within this loop will be executed otherwise, statements will not be executed at least once. First it will execute the statements inside this loop and then after reaching the end, it will checks condition inside the while. If the condition is True then it will repeat the process. If the condition fails then Do While Loop will be terminated. 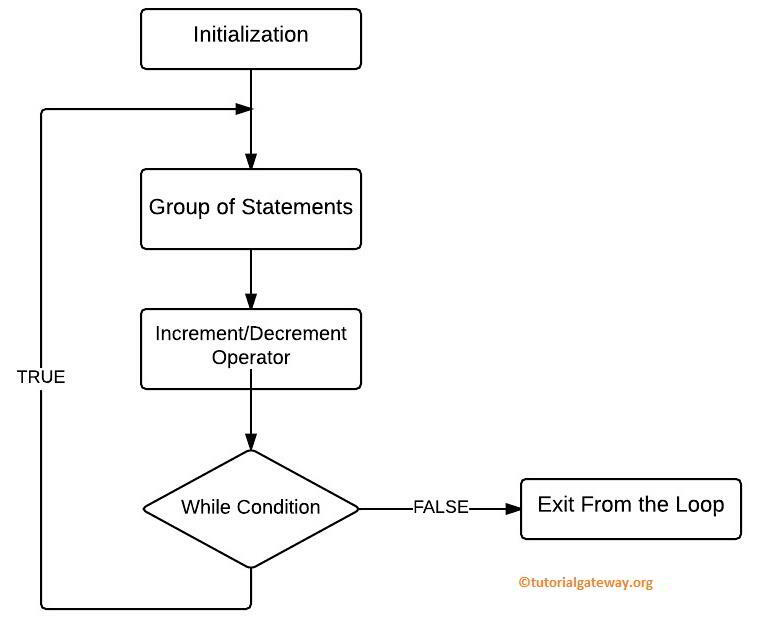 It will execute the group of statements inside the loop. First we declared the variable number and initialized to 6. And, initialized the total variable to 0. In the next line we used ++ operator to increment the number value. Let us enter value greater than 10 to see, what will happen? If you observe from the above screenshot, we entered value 11 and it still display the total as 11 because after executing that code it checked the while condition and it failed so it exit from loop.